Gut Bacteria And Food Cravings | The Free From Fairy. Many of you will know that I have a ‘thing’ about bacteria. Not just any bacteria, but those that live in our gut and influence so much of our health. For many years I have been convinced that my gut bacteria has played a role in my health (or non-health). I’ve been exposed to some undesirable little beasts in my time. When I was five I lived in Mexico and although I never seemed to suffer with the dreaded amoeba’s that everyone talked about so much, I was probably exposed to all manner of weird and wonderful bacterial life. Then when I was 16 I travelled to India with my college, and of course suffered with the inevitable ‘Delhi Belly’. After completing my degree and a stint of voluntary work I set off on an adventure of a lifetime. Alone and with just my backpack, some guide books and a return ticket to Bangkok I travelled for 6 months around South East Asia. In the last month of my trip I became pretty ill. I visited umpteen doctors and clinics as I wound my way through Indonesia but nobody really knew what was wrong. I clearly had an undesirable gut microbe but nobody correctly treated it. When I returned home I was thin and exhausted. A stool sample was taken and tested and I was found to be harbouring campylobacter, a usually self-limiting infection with symptoms lasting five to seven days. I had in fact been ill for around a month so I was always convinced that there was something else lurking there too. Irritable Bowel Syndrome (IBS) kicked in from that point onwards I believe, at least my tummy was never quite right after that. I did everything I could to ‘treat’ my IBS. I took probiotics, I drank aloe vera juice (yuck! ), I tried all kinds of weird and wonderful therapies and remedies to no avail; in fact most of those things just made it much worse. It was only years later, after six months of travel around South America (when I’m sure a few more microbes hoped on board the wandering belly) that I made the association between wheat and my symptoms. Once again I returned skeletal and unable to eat due to extreme bloating. Fast forward many years. Mostly the IBS was under control through the avoidance of wheat, however you may recall a major flare up last year after I tried milk kefir (a strong ‘natural’ probiotic that you can make yourself). It reminded me that years before my IBS had worsened whenever I tried to take probiotics of any kind. 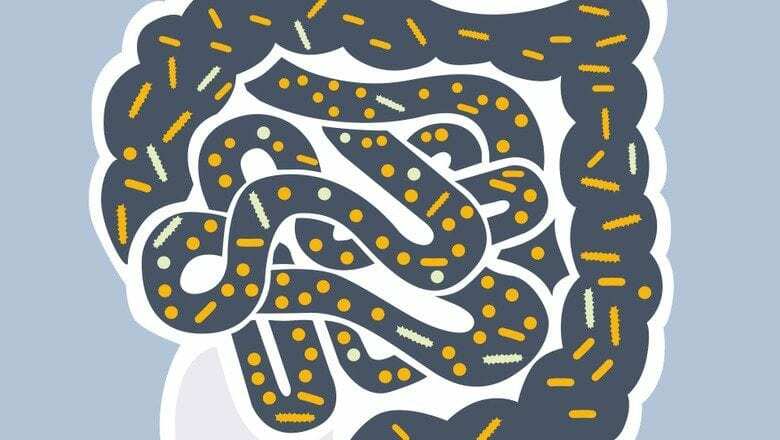 I was convinced that my health was inter-related to my gut bacteria. It felt to me as though the bacterial mix I had in my gut did not appreciate the addition of any beneficial bacteria that I gave it though probiotics, so I was determined to sort it out once and for all. I won’t repeat that story. I have written in depth about my quest to find a happy tummy over the last year. So what has this got to do with food cravings? As you know from my last post, I am addicted to sugar. I quit it earlier this year and found that my IBS and other hormonal-related symptoms disappeared. So why have I gone back to craving it so much? I believe the answer is in those little bugs again. Last year I followed the Specific Carbohydrate Diet and GAPS diets, designed to rid the body of ‘bad’ bacteria and promote the growth of beneficial bacteria, whilst healing the gut. Alongside the diet I took Symprove, the only water-based gluten and lactose-free probiotic that has been proven to reach the gut alive and thrive there. I then followed the I Quit Sugar programme and successfully rid myself of my sugar cravings. However, over the last month I have been craving sugar and have started eating it again. My symptoms have returned with vengeance and I think the answer is in the gut. I believe that my bacteria have become unbalanced again. So, in addition to quitting sugar once more, I am starting to take a half dose of Symprove in the hope of re-balancing my gut flora. And it isn’t just me thinking that this might help. There is more evidence emerging every day about the role that our gut bacteria plays in our dietary choices and subsequent health. In other words microbes in our gut can dictate what we eat, sometimes at the detriment of our health. The paper goes on to say that they may do this via two methods. The first is by making us crave foods that they need to proliferate or that cause their competitors to fail. The second by making us feel dissatisfied with life until we eat the foods that they require. When I am driven to eat sugar it is as if I have lost all ‘normal’ control. Last Tuesday is a great example. I remembered that there were some little chocolate bars in the garage and stuffed one in my mouth. No sooner had I finished ramming the first bar in my mouth I was back in the garage getting another, and another. Then I moved on to the cupboard. Climbing on a chair I reached into the deepest darkest depths of the top shelf and pulled out a box of chocolate coated marshmallows. They’d been there a long time for a reason; I hate marshmallows. But not today. I ripped the packaging open and stuffed three in my mouth in quick succession. I was strangely enjoying the destructive behaviour but at the same time knew I had to do something to gain control. As it happens I have no idea what that something was…but that episode was the kick up the bum that I needed to get on top of this again. So a word of caution to my little destructive bacterial gut critters. The sugar won’t be coming down to you. Back on my sensible, all natural unprocessed diet you are going to DIE. So next time you feel the urge to cram something into your mouth, pause to think about why that might be and question whether it is really you that is in control. I am a brand ambassador for Symprove. You can find out what that means here. So, so true. I rejoiced this morning…I woke to puffy eyes, itching skin, and a red blochy face…why am I happy? Skittles! I’m allergic to Skittles! I scoffed a packet last night just before I went to bed…I’d had a similar sight greet me on Saturday morning, guess want, I’d had Skittles the night before them too…now I had a connection. I’m happy I’m allergic because NOW I have a physical excuse not to binge and a wake up call thanks to you Vicki that I need to listen to my body. Bless you Rebecca. I know exactly how you feel…knowing that something doesn’t agree with you makes it much easier to avoid. Vague symptoms that you cannot attribute to something are rubbish! I’m glad to hear that Symprove is beginning to have an affect. It isn’t magic and certainly needs to be done in combination with a careful diet…but it made the world of difference to me. Good luck! I can identify with what you have written here as I have a long history of food and drink issues as well as gut bacteria and keeping to my gluten free eating diet. Campylo bacta, was also my experience in Indonesia (Sulawesi) 5 years ago. Afterwards, IBS was the problem, I used to think. In January this year, in my continued fight with my self diagnosed gluten intolerance, I went down with gastritis, resulting in having to cancel my ski holiday to Canada the day before I was due to fly. Continually off work due to gastritis I went down with campylo bacta again, both running at the same time, unfortunately taking two weeks before being diagosed. All the above with daily gut unwellness, sleep issues, severe ache in my muscles, anxiety, an addiction to sugar with extreme sugar craving, similar to yours it seems as I would eat 16 bars a day. I take extra strength probiotics, purchased at the free from/allergy show, I have purchased ‘I Quit Sugar’ book and try to handle my sugar cravings. I take tablets to help me sleep and gastro-resistant capsules. Plus Anadin ibuprofen for my joint and back pain. I’m having ‘one to one’ CBT therapy for my anxiety and have subscribed to numerous magazines for my gluten intolerance as well as reading lots of blogs! I eat a good diet, I think, considering I have nothing spicy or acidic and I’ve cut out bread and pastry…..and sugar. I can never eat out any more. I have just taken early retirement from my work on the grounds of ill health. With my leisure time increased I want to try to sort myself out. I believe I still have those gut bacteria bugs and I’m so sad because I don’t know what to do. Today I decided to have another go at using my gluten free bread machine, it being out of favour after nine disasters out of ten in the bread and cakes and have followed the recipe to the letter…… Oh dear. I am the worlds worst baker and that’s a fact! I have taken photos of today’s effort to prove it. It will take me hours to clean the machine after what happened and a week for the smell of burning to disappear from the whole house! I enjoy reading your emails and blogs etc. Hi Steve, I’m so sorry to hear your story. When things become unbalanced in our bodies they really do become unbalanced don’t they? 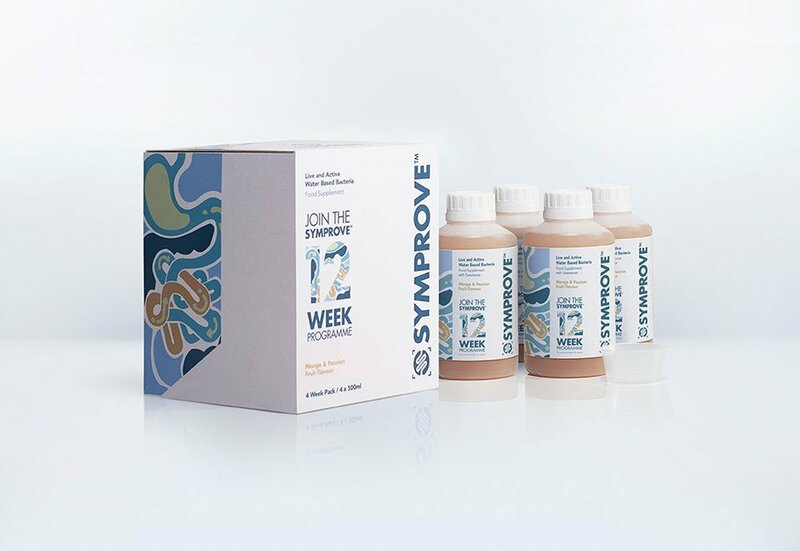 Once you have finished the probiotics you bought at the allergy show perhaps give Symprove a go. I really didn’t believe that it could make a difference but it really did for me and lots of other people judging by the Facebook group they have (worth looking at). I know how you feel about not knowing what to do. I had no idea either and nobody understands (or cares a lot of the time). It sounds like you are doing really well with what you are doing. Have belief that you will get on top of it…I really think that helps at lot. And try to remain positive (I know, it’s hard). Have you tried any of my recipes for bread? They have been tried and tested so many times and are very easy. If you need me to show you any of them then I can do a Facebook Live. Have a good day. Chin up. Things will get better. When you say you tried Milk Kefir.. what type of milk..? Bog standard Cows..? I am dairy intolerant BUT Ive found I can easily digest Milk from Jersey Cows (this does not contain the casein protein type 1 which is the culprit if you are sensitive) and Goats milk.. This is also the same as does not contain the Casein protein type 1 either.. so I make my Kefir from mostly RAW GOATS MILK.. and its fab stuff.. full of wonderful probiotics and great gut bacteria. 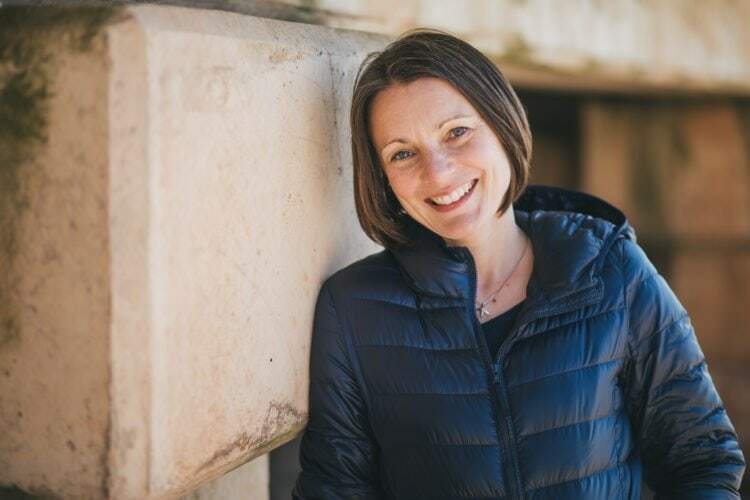 I also follow Dr Zoe Harcomb`s 3 step plan for weight loss and mostly for detoxing from sugar cravings.. her ethos is to follow the plans to eliminate Candida, Hypoglycaemia, etc and get rid of food cravings.. as the things we often crave are the culprits that cause our problem in the first place! Hi Lou, yes the milk kefir I tried was made with normal cows milk and I have since discovered that it causes my eczema and that I can tolerate A2 and goats milk too! However, I don’t think it was the milk that was the problem. I really believe it was the bacteria. I don’t get that kind of reaction to drinking normal milk. I’ve kept a wide birth ever since….I’d rather take Symprove and know what bacteria I am getting! I’ve looked at Zoe Harcomb’s plan..it’s very similar to I Quit Sugar but I think I will do a combo of them both! What an interesting post Vicki. 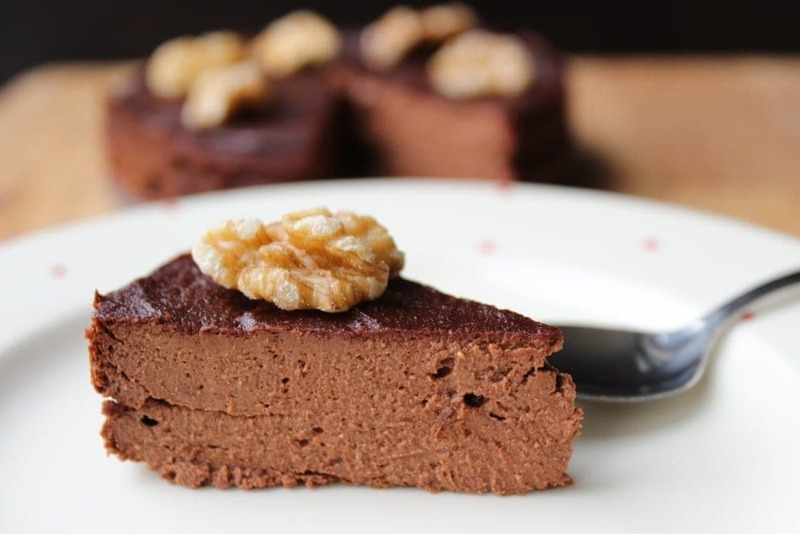 I had never really connected sugar cravings with gut bacteria. There are days when I get huge sugar cravings and like you, stuff my face almost without stopping to taste the stuff.